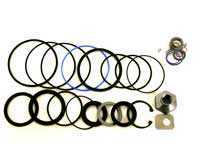 Do you need a rebuild kit for a Power Steering Rack or a Power Steering Pump? Choose from the options on your left then pick your make and model in the next section. It is just that easy. You can be on the road to a leak free power steering system that you rebuild yourself in just seconds. What are you waiting for? Start Clicking! !